Usually zoos are like prisons to animals. You can see many animals stray away from their normal instincts and just lay down all day or pull out their own hairs/feathers. Other behaviors are walking in circles or from side to side. The animals are bored out of their mind and don't know how to get rid of their energy and frustrations. They know something is off, But they are animals so they can't really grasp the consept that they aren't 'free'. Zoos are cruel in my opinion, And if an animal doesn't NEED to be there for health reasons are to save an endangered species, Then it needs to be free. Zoos are captivity and entertainment centers where collections of wild animals are exhibited with the main aim of satisfying the curiosity of visitors. Captivity suppresses the natural instincts of these animals. Animals suffer permanent frustration because they have no freedom of choice and they can't behave the same way that they would in the wild. You might say that zoos help animals endanger but less than 10% of captive animals kept in zoos are endangered species. I really hate zoos because i don't think looking at a bunch of weary animals in a pen is entertaining;however, Zoos can do a lot of good for animals. Zoos can provide a safe place for endangered species to thrive and reproduce and many help integrate animals back into the wild. Zoos are wonderful places and no one should think they are anything like prisons. Zoos could help the animals if the species is in danger or has a disease. 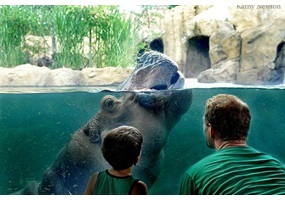 Zoos design the animals enclosures so that they feel at home and safe from other predators. Did you know that Zoos make 17. 2 million dollars a year and spend at least half of it on the animals to make they feel safe and feed them satisfactory level food. Zoos are not like prisons! White bleaching creams should be banned. Should mandatory confinement occur when a patient reaches one of the advanced Alzheimer's disease stages? Mylan will offer a two pack generic epipen auto-injector for 50% less than its name brand. Is Mylan doing this out of embarrassment? Organ donor opt-out program: Should organ donation registers move from an opt-in to an opt-out system? Is dyslezia a visual issue or a neurological issue? Should environmental chemicals be reduced to reduce behavior problems? Should Santa still be fat? Do more Americans need to grow their own food rather than buying it in stores?